English: Lenin, Voroshilov (behind Lenin) and Trotsky (from left to right, in the center of the image) among soldiers among the delegates to the Tenth Congress of the R.C.P. 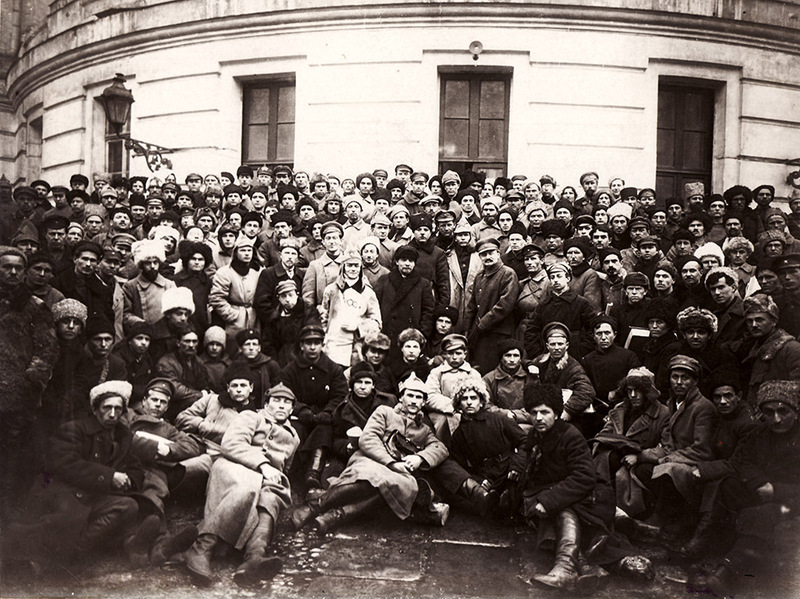 (B) - the participants in the liquidation of the Kronstadt uprising. Moscow.